Make no mistake, choosing the right florist makes all the difference. 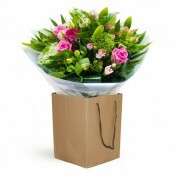 And if you want to achieve same day delivery in Crook none are better qualified than the team at Ultimate Flowers. With fresh flower deliveries arriving daily from the local markets and local flower growers we always have a wonderful selection of flowers in a variety of colours suitable for all budgets, prices start from as little as £20. For Birthday flowers to Crook or anniversary flowers - flowers for any occasion - be assured Ultimate Flowers are best placed to deliver fresh flowers daily. 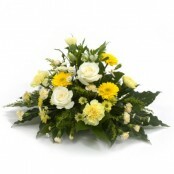 For same day flowers delivered to Crook please ensure your order is placed with us before 12pm local time. Call us now on 01388 605000 and speak to our friendly team or order online using our brand new webshop where payment is accepted via Visa, Mastercard and Paypal.